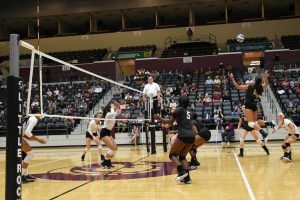 Little Rock (LR) volleyball (5-12, 1-4 SBC) lost to the Texas State (TXST) Bobcats (12-7, 5-1 SBC) Friday night at the Jack Stephens Center. 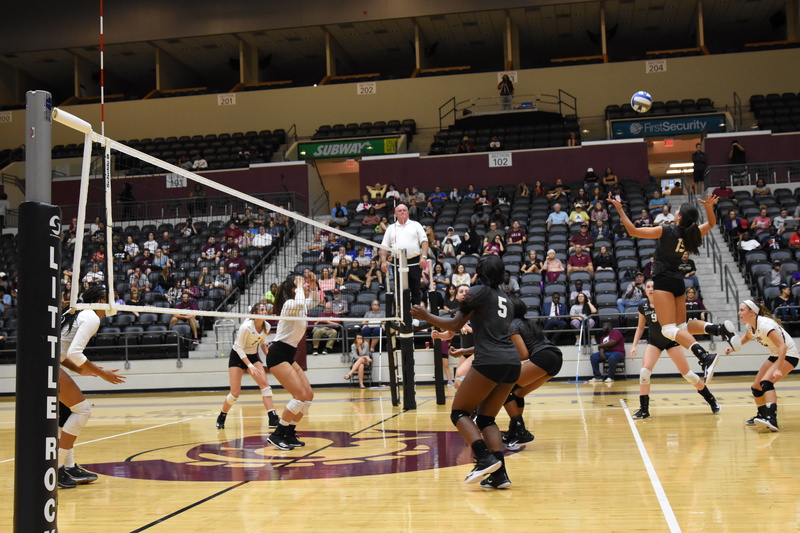 Despite close sets, TXST overtook the Trojans in three, by scores of 25-23, 25-18 and 26-24. Junior Taylor Lindberg led the Trojans with 32 assists, while Maritza Mesa scored three aces for the team. Erin Hoppe led the Bobcats with 47 assists, while Micah Dinwiddie scored 15 digs. LR will face off with UT Arlington (8-10, 2-3 SBC) on Saturday at the Jack Stephens Center before heading to Arkansas State (10-8, 3-2 SBC) on Monday.